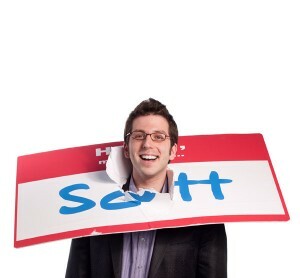 11 Ways to be the Greatest Receptionist Ever - HELLO, my name is Scott! 3. Brainstorm a list of the most common candies, snacks and goodies that every receptionist in the world uses. (You know, the ones that every customer expects.) Then, go out and buy really delicious, unexpected candy that nobody else offers. 4. Have a ‘Trivia of the Day’ for each guest. Challenge them to solve the answer by the time they go in for their appointment. 6. 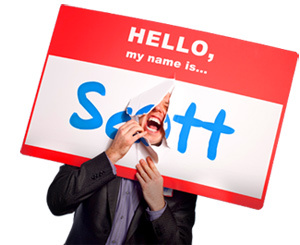 Instead of falling victim to the First Word Farce, (asking for name, information, number, etc.,) create an unexpected, unique greeting. Try something like, ‘Welcome to the best __________ in the world!’ CHALLENGE: brainstorm twenty-five different greetings and using a new one every day for a month! Let the customers vote on which one they like best! 7. Four words: warm chocolate chip cookies. 9. Do what Australian Dentist Paddi Lund did: chain saw your reception desk in half and serve tea to your clients in bone china cups. 11. Bring an assortment of treats and bones for other people’s dogs. What makes someone a great receptionist?